Each year Archbishop Lefebvre went to Rome. He met with the Secretary of the Sacred Congregation for the Propagation of the Faith, and sometimes he had to be insistent to obtain subsidies. Most importantly, he paid a visit to the pope. Pius XII told him about his fears of a Communist takeover in Africa, like the one in China, from which the missionaries were expelled: “Prepare an African Church,” the Pontiff said. Archbishop Lefebvre listened and shared this concern. 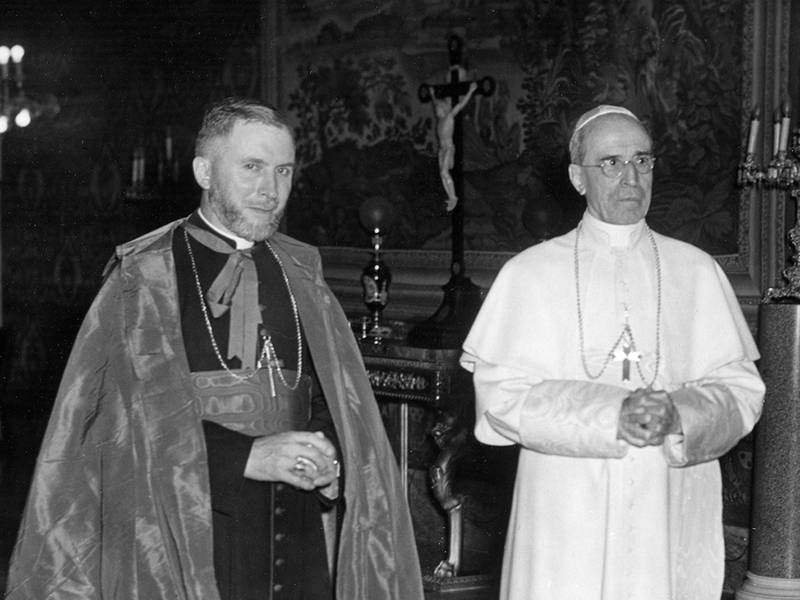 But when he gave the pope a report on his activity, Pius XII was astonished at the growing number of priests, men and women religious belonging to all sorts of institutes, from Europe and America, whom Marcel Lefebvre was attracting to Dakar and whom, following his example, his colleagues were bringing into their dioceses. "There was a certain empathy that brought us together. The Pope was always very friendly with me and provided a lot of support and encouragement. He was a true father, very good, very simple, and at the same time very dignified and very noble. He was a man that commanded respect in those who had dealings with him."